A long time ago we had a fantastic tool which few have heard of. It was the tiny text editor that accompanied the WordPerfect word processing program. It pre-dated Windows programming and included an advanced macro editing language that was in the main product itself. 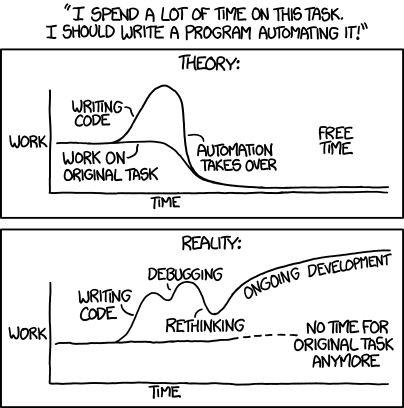 Almost any sequence of tasks could be turned into a macro and then run once or even X times if you wanted to. To this day there still isn’t a text editor that has this level of functionality. That program (ED.EXE) no longer is compatible with modern systems, unfortunately. If you could have used this program you would possibly understand how wonderful/useful its ad hoc macro creation feature was. Guess I’ll have to recreate something like that. The “Habits and Patterns” link in the article takes me to a WordPress login page. Thanks for pointing out. I have fixed the link in the article.